2 weeks Absolutely Free today. Small RIC with connectivity to all your favorite wireless devices. Connects to your Smartphones and listen to Phone calls and TV directly in the hearing aid with Remote Control App. Rechargeable Batteries that last 24 hrs on single charge. Don't see the hearing aids from Unitron you want? 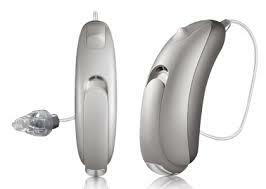 Want to find out how a Hearing Aid will work for you?